Partners share successes within their organization to encourage and motivate management and employees to get on board with the company’s energy management program. Below are examples of ENERGY STAR partners communicating to various internal audiences. 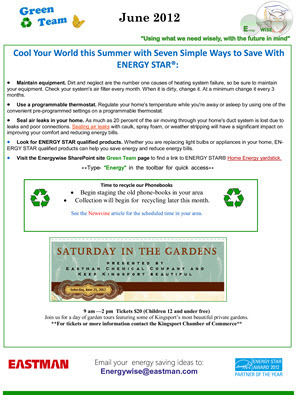 Study the examples to gather ideas on what you can do to promote ENERGY STAR and your energy efficiency efforts! 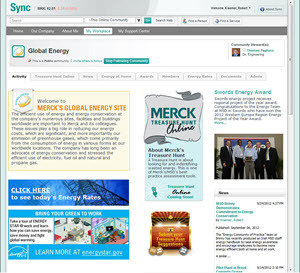 Merck’s Global Energy Community of Interest internal website informs employees about ENERGY STAR tools and energy efficiency. 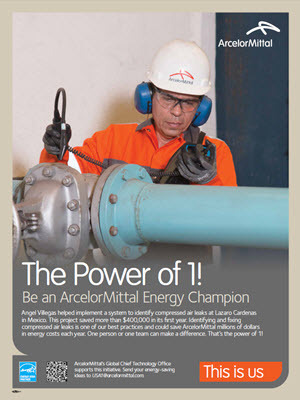 One of many ArcelorMittal "Power of One" posters recognizing plant energy champion’s efforts to saving energy. These posters are placed throughout ArcelorMittal’s facilities. 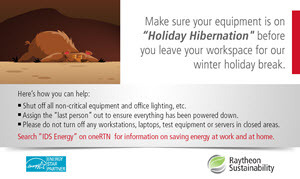 Raytheon's "Holiday Hibernation" posters are displayed on the company's multi-media communiques throughout their buildings and facilities as a reminder to employees do their part in conserving energy at their workstations during holiday breaks. 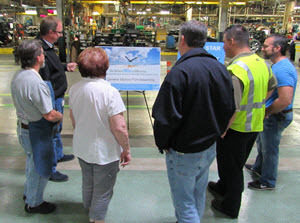 Olin Brass Mill located in East Alton, IL displays ENERGY STAR Challenge for Industry Achiever banners to help celebrate their success in reducing the energy intensity of the facility. 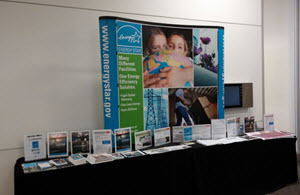 Celanese displays ENERGY STAR partnership information at the company's manufacturing leadership meeting informing employees of their new partnership with ENERGY STAR. 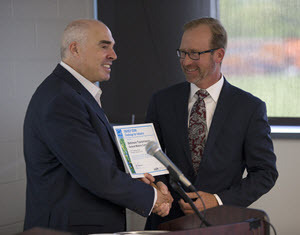 The ENERGY STAR partner logo in Brown Printing Company's printing shop reinforces the company’s commitment to sound energy management and its partnership with ENERGY STAR. 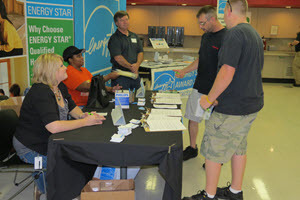 The ENERGY STAR partner logo in Brown Printing Company's printing shop reinforces the company’s commitment to sound energy management and its partnership with ENERGY STAR . CalPortland Company displays the ENERGY STAR Bring Your Green To Work poster to show best energy practices in the office. 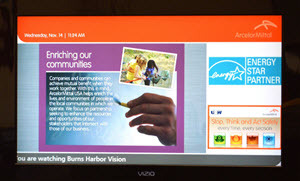 ArcelorMittal promotes their partnership to employees via internal TV screens located in break rooms. 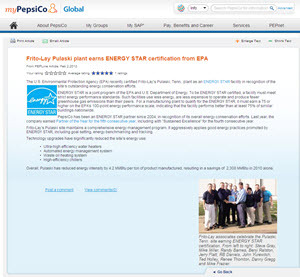 PepsiCo, Inc. announces a plant's ENERGY STAR certification in the company’s PEPLine global employee newsletter. 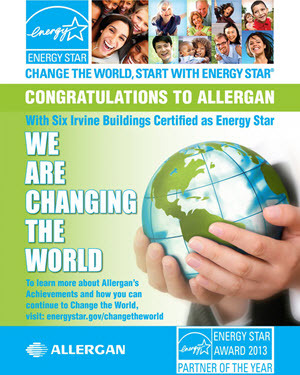 Allergan promotes their ENERGY STAR awards on Allergan’s Internal Portal as well as in posters located strategically around the Irvine campus which reaches over 2,500 employees. HanesbrandsInc. 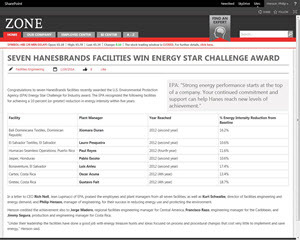 prominently displays an ENERGY STAR Challenge for Industry story on the company’s internal website, the HBI Zone, as the featured headline of the day congratulating sites that recently achieved the ENERGY STAR Challenge for Industry. 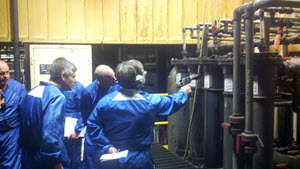 Nissan North America conducts “Energy Patrols,” energy audits to engage employees in managing energy. 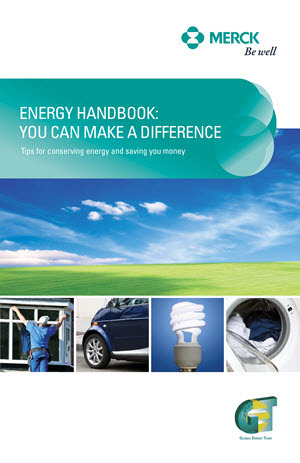 Merck developed and distributed an Energy Handbook through energy training seminars to employees. 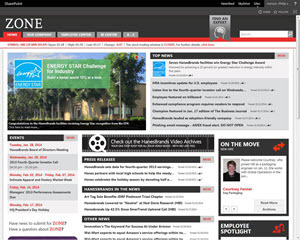 CalPortland Company created their own YouTube channel enabling employees to view web conferences and trainings remotely. 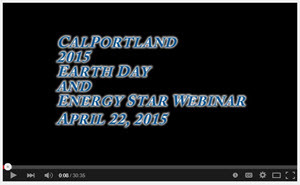 The first successful video was launched in celebration of Earth Day and ENERGY STAR. Watch the YouTube video. Nissan North America annual employee fairs promote ENERGY STAR and energy efficiency to educate employees on Nissan’s commitment to energy management.